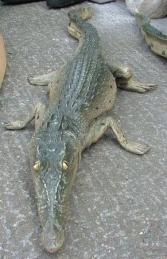 This small scale model of a resting Crocodile is modelled as if dozing on the bank of a river. 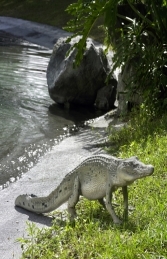 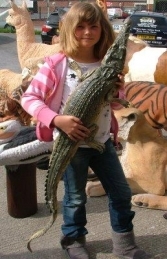 This replica reptile looks great with our other small 4ft Crocodile (JR 080112). 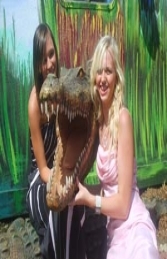 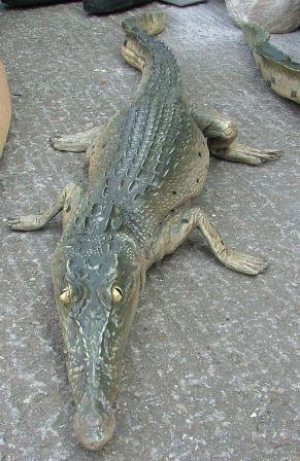 This scaled down replica Crocodile is 4ft long making it ideal for decorating an african or jungle themed venue where there may not be space for our larger Reptile models. Despite its size this little croc is full of detail. 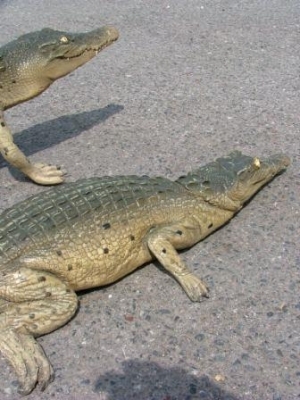 A group of these 4ft Crocodile figures could be used with the 12ft long Crocodile (JR 080123) to represent babies in a river scene.